There is bond both of them, never stop to be friend, although Naruto and Sasuke thingking that they are rival each other. The most important person, can't desired this destiny, if they have to fight in a battle, they will be killing other while crying. 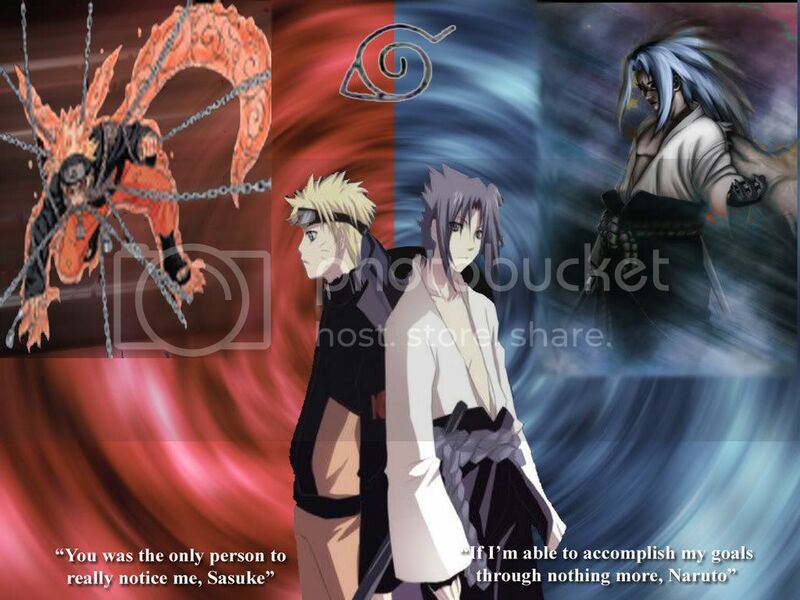 Best friend forever, Rival forever, Naruto and Sasuke wallpaper never die forever. Get this Naruto-Sasuke (Friend and Rival) Wallpaper by clicking on image.